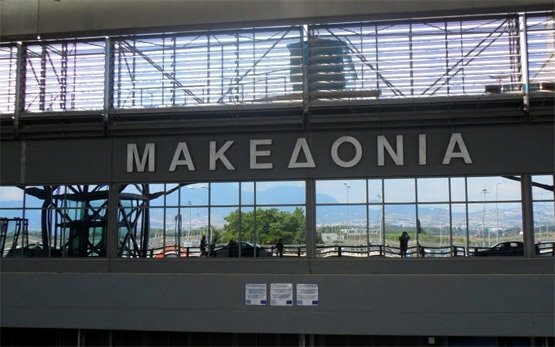 Air traffic to and from the second largest city in Greece, Thessaloniki, is served by Thessaloniki Macedonia International Airport. Thessaloniki Airport is located 15 km southeast of the city center and is the second biggest and the third busiest airport in Greece, serving almost 4 million passengers per year. Thessaloniki International Airport offers direct flights to and from many cities in Europe, as well as flights connecting through other cities to North America. 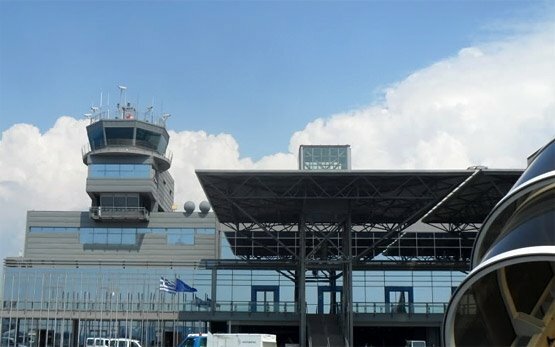 Thessaloniki Airport is an important base for a number of international and domestic airlines such as Aegean Airlines, Olympic Airlines, and Austrian Airlines. 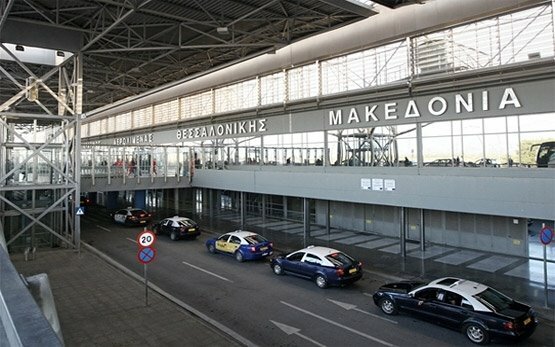 Dozens of other major European carriers also serve Thessaloniki Airport, including British Airways, Lufthansa, Malev, Alitalia and many others. In addition there are a number of budget airlines that fly regularly to Thessaloniki offering inexpensive and convenient flights. 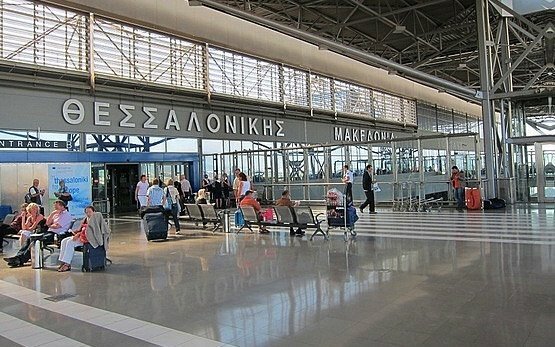 Thessaloniki Macedonia airport also offers direct flights to other major cities in Greece and to a number of Greek islands such as Crete (Heraklion and Chania), Rhodes, Santorini and Myconos. Although the airport is easily accessible by taxi or public transport, the most convenient and fastest way to get to the heart of the bustling metropolis of Salonika is by a hire car as it takes around half an hour. With a hire car at Thessaloniki airport you will have the opportunity not only to indulge in everything this amazing historic and cultural capital has to offer like concerts, art shows and events, fine food and sinful sweets, ultra-chic shopping and energetic nightlife, but also to explore the whole Greece to its fullest. Motoroads.com is the right place to organize your car hire from Thessaloniki Airport whether for your short city breaks, family holiday or business travel. It only takes one fast online Car Hire Search to find the very best car hire deal for Thessaloniki International Airport. Save both time and money on your car hire at Thessaloniki Airport using the full car rental services of Motoroads and you will get fast reservation process, a wide range of online car hire deals, easy and secure online car hire booking, and excellent customer service. 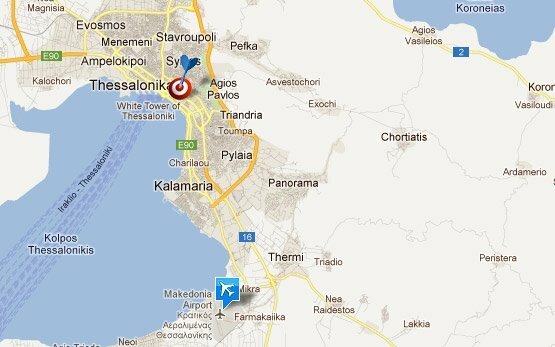 So go ahead and discover the birthplace of European civilization with exclusive Thessaloniki Airport car hire deals from motoroads.com. To reach Chalkidiki by a hire car from Macedonia Thessaloniki Airport, take the national highway, which will lead you up to the entrance of the first peninsula of Kassandra and its beautiful beaches and exclusive seaside resorts. From there on, there are excellent main roads leading to the other two peninsulas - Sithonia and Mount Athos and their world-class vacation spots. The trip to Athens by a hire car from Thessalonica Airport takes 6-7 hours along the 516-km National Road which is the best four-lane highway in Greece. To reach Bulgaria's capital Sofia, drive northbound along the international road E79 which will take you around 5 hours drive. It takes 3.5 hours drive to get to Bansko ski resort in Bulgaria, some 250 km northeast from Thessaloniki Macedonia Airport.